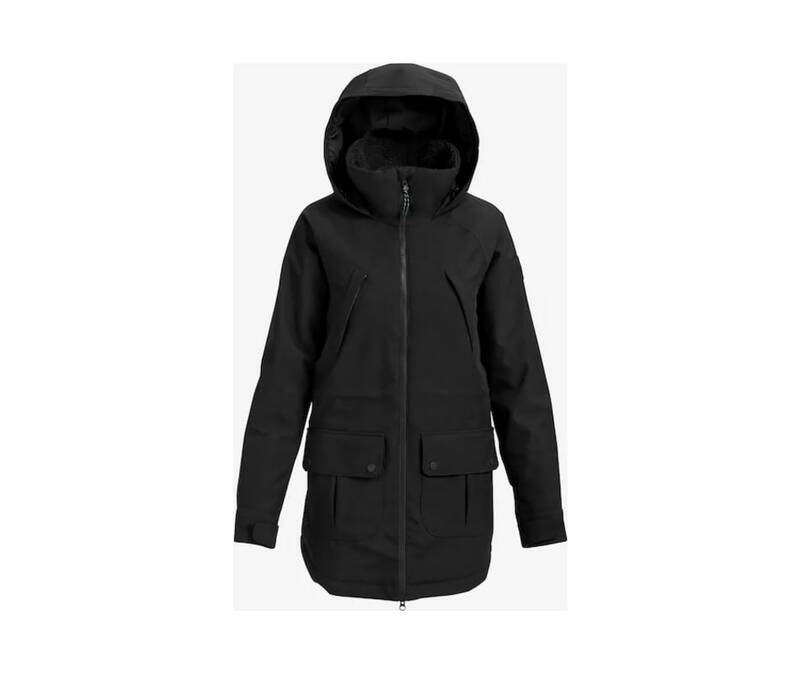 A toasty team favorite made especially cozy by a sherpa fleece-lined collar and fashion-forward dropped hem for added coverage and style.The womens Burton Prowess Jacket marries fashion-forward fabrics and design with rider-driven features to create a jacket thats easy on the eyes on-hill or around town. An exaggerated drop tail adds style and seals out cold, while waterproof/breathable DRYRIDE fabric outperform everything in your closet. 40% recycled content THERMOLITE Insulation with the added cush of Sherpa fleece inside the collar will have you wrapped in warmth. The super breathable pores of our Living Lining shrink or expand to retain or release heat like automatic climate control.